Eye-catching banners that have plenty of impact – choose Island Printing for your vinyl banners and more! Vinyl banners and other banner styles are excellent for advertising your business in a range of circumstances. They can be used indoors and out, whether on your business premises or at events. You might use them outside your store, at exhibitions and trade shows or even at community events. Vinyl banners are a durable option, making them ideal for using outdoors and for packing up and rolling out many times over. They are excellent for advertising businesses of all sizes, and are available in all sizes too. Island Printing brings you quality banner printing right here on the Gold Coast. Our experienced team prints banners in a variety of sizes, with various finishes and options available. We print high-quality banners and even have our own design team to help anyone who is unsure of where to start. We’ve been in the printing business for over a decade so we know how to make our customers happy. Vinyl banners are a great choice if you’re looking for a way to create an impressive display for your business. 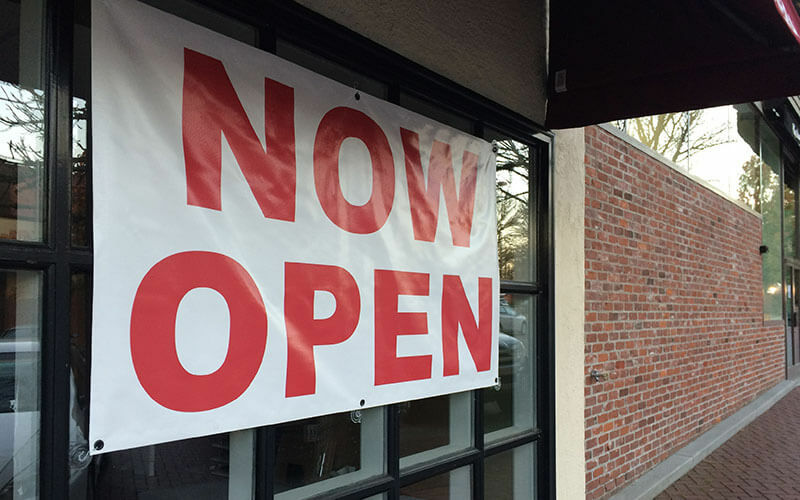 Vinyl is extremely durable, making it an excellent material for outdoor banners. It can stand up to the elements, whether it’s strong sun or rain, especially with the right finishes and coatings. These long-lasting banners are fantastic if you want a permanent banner to put up in your shop or office or if you want banners that you can fold up and carry around to different events. The top quality printing that we offer will ensure you have a durable design that will last, especially with a protective coating that will keep it vibrant for even longer. As well as the durability of vinyl banners, there are several reasons to choose them for your business or other purposes. 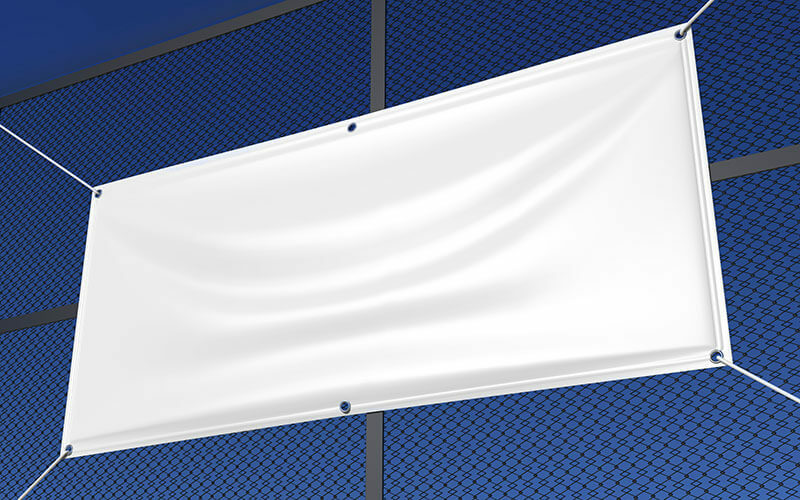 Vinyl banners are easy to hang, and we can add eyelets and ropes to your banners so that they’re ready to go. They are available in all sizes, which means there’s plenty of space to advertise your business and to include any necessary information. You can display them however you want, whether it’s vertically or horizontally. Vinyl banners roll or fold up easily too, leaving you with a light and highly portable banner that you can hang anywhere. Island Printing offers a range of finishes for your vinyl banners so that you can have the perfect display. Eyelets make your banner easy to hang however and whenever you want to, and we can even add ropes for easy hanging too. We also offer hemmed edges, which help to give your vinyl banners a smart finish. After printing your design, a protective coating can be applied which will help the design to stay vibrant for longer. 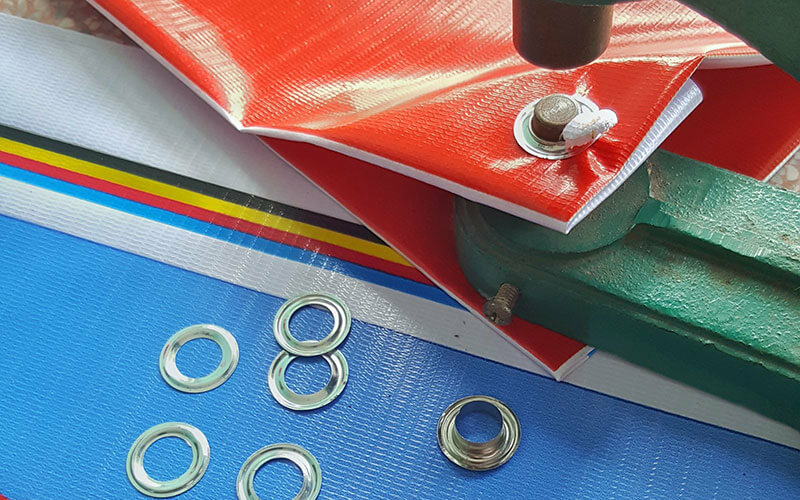 To make your vinyl banner just how you want it, you can combine any or all of these possible finishes for a banner that does everything that you need. If you’re looking for professional banners for your business, our banner printing service will help you to make sure that you get the look that your business needs. Making the right impression is essential for any business, whether you’re trying to do it up close or from far away. Banners are great for catching people’s attention from a distance, but also look fantastic when you get nearer to them too. We produce beautiful full-colour banners that are sure to enhance your business image. 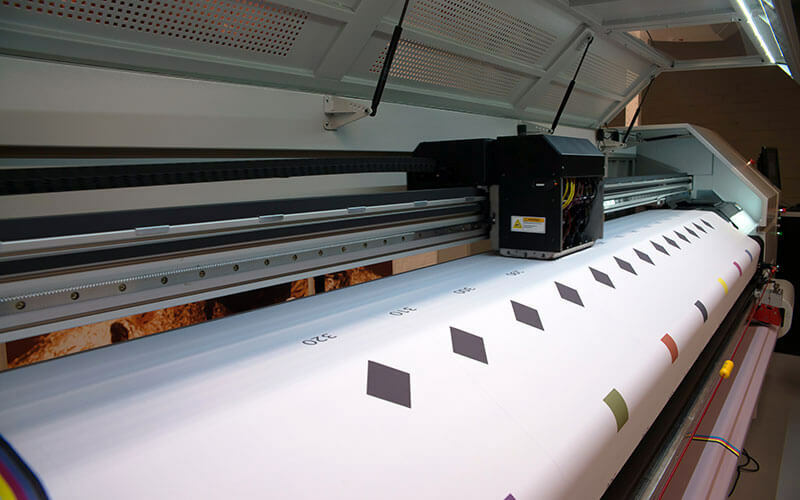 We use high-tech printing solutions to ensure we deliver excellent quality printed banners that convey the message that your business wants to advertise. Vinyl banners have a huge range of uses for different organisations and people. As well as businesses, some of those who might benefit from using professional business banners include charities, community groups, and even performing artists. We offer stage banner printing that can be used by anyone from public speakers to dance troupes. Our band banner printing services are great for musicians, no matter where you’re performing. Businesses use our vinyl banners in a range of ways too. They’re excellent for exhibitions and trade shows, helping to advertise your business from across even a large space. Get in touch with Island Printing for exhibition banner printing if you’re looking for reliable banner printing service that can offer you a quick turnaround. Our friendly and experienced team will offer you a professional service that meets all of your needs. The team at Island Printing offer a fast and reliable service for anyone looking for outdoor banner printing. We have an experienced and professional team who can do everything for you, from design to printing. If you have a design that you want to use, we can make sure that it’s printed in the best quality possible. However, if you don’t yet have a design, our talented design team will work with you to create the perfect design for your needs. No matter what kind of message you’re trying to convey, we will help you to get it across to your audience. You can count on Island Printing to deliver a reliable service on both vertical banner printing and horizontal banner printing. We create completely custom banners for you so that you know you’re conveying a unique message. It doesn’t take long to get in touch for a quote, and we ensure we provide a fast service that doesn’t compromise on quality. If you’re wondering where to print banners that are larger than average, Island Printing can help. We have oversized banner printing available for anyone looking for large vinyl banner printing. Larger banners will help you to get even more attention and are even better for using outdoors. 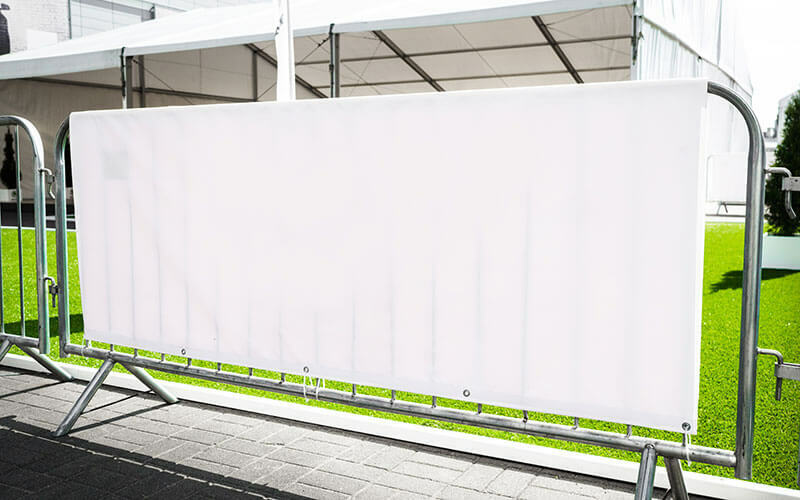 If you’re looking for a banner to use outside of your business or perhaps for outdoor events, our large vinyl banners will serve as an impressive message for your company, event or any other purpose. Bigger could be better if you’re looking for a way to make a real impact. As well as vinyl banners, we also offer fabric banners as an alternative. While they’re not as ideal for outdoor use when compared to vinyl banners, they are still an excellent choice if you’re looking for a professional banner that will impress anyone. Fabric banners are a good option if you’re looking for a bit more luxury for your banners or you want something that will fold up small and light for transport. Our professional printing services will produce your design on fabric to enhance your brand. We also have a number of other banner types, such as pull up banners if you want to explore some other options. Get in touch with Island Printing if you’re looking for quality banners, whether you want vinyl banners, fabric banners, teardrop banners or even pull up banners. Just fill out a quick form for a quote or contact us by phone or email to get started. We can work with your existing design or help you come up with the perfect banner design. If you’re not sure what you need yet, you can get in touch with us for some advice and we will help you find your way to what you require. How long will it take to make my Vinyl/Outdoor Banner? We can produce your pull-banner within 3-5 business days from the time that your artwork is approved and signed off. For urgent requests please contact us. Can these banners be used inside and outside? Yes! These banners can be used both inside and outside! We require 50mm bleed on Outdoor Banner artwork. Please contact us if you need assistance.